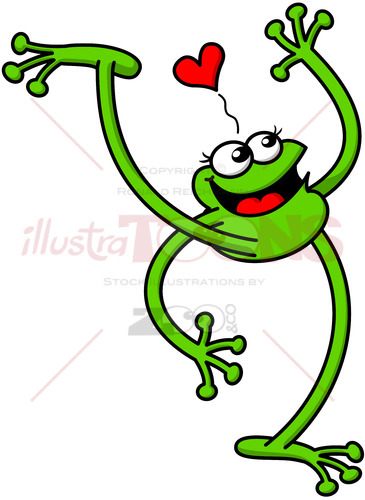 Shyness does not prevent frogs from falling in love at all! Funny green frog walking and smiling while waving enthusiastically. 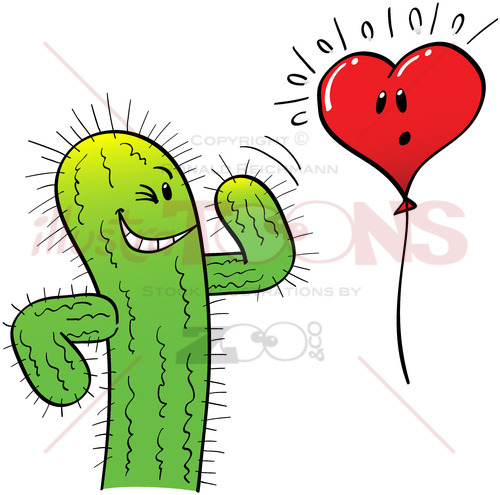 It is feeling shy and showing a red heart above its head while irremediably falling in love.